Užice is one of the macro-regional centers in Serbia, the largest city and administrative center of the West Serbia, and with its fantastic location, in the region of Zlatibor and Tara, Užice can offer so many interesting tourist attractions, making locals proud of their hometown.Užice had become a recognizable brand of Serbia and the Balkans, not only for the famous smoked ham and brandy “Sljivovica”, but for its natural beauty as well. At Rakijska market there was once an old building but now it is pleasant restaurant remaining us of the old Serbian architecture. Since the Užice was established there is beautiful fountain at the Slanuša. Around a small park, in the downtown of Užice, are placed the most important institution: the Municipality building, the Grammar High school in the other side, the Palace hotel, the bank, a new architecture building on the other side of the main street, making together the “forum” of the city. From this small park leads street to the modern urban downtown. 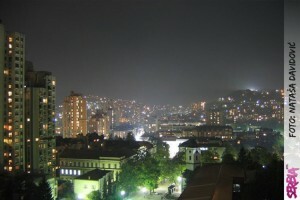 The Partizan’s Square is an urban city square which is considered to be a unique architectural place. There are very interesting monuments in Užice as well. At the east, on the Dovarje, there is “Gate of the Torch” and at the west there is Memorial to Kadinjača, Thermopylae of Užice, representing its “western gate”. Natural beauty and capacity of tourist facilities are introduced Užice in popular tourist destinations in the Balkans. 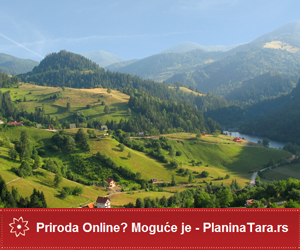 Rural tourism in this area was very popular, especially villages from the Municipality Kosjerić and Ivanjica. In this area hunting tourism has dominant part in the tourist offer of Užice. Hunting Area “Šargan” is located near the famous railway “Šarganska osmica”, and hunting area “Jelova gora ” is only 12km far from Užice where hunters hunt deers, wild boars and rabbits. Religious tourism of Užice offers three interesting monasteries – the Rača monastery near Bajina Bašta and the Mileševa monastery in Prijepolje and Uvac monastery at foot of the Zlatibor Mountain, known from the legend, and now it is re-built thanks to the efforts of the National Museum in Užice. Cultural life of the city is enriched with the International film festival of ecological, tourist and sport film, the International Graphic Biennial “Suva igla” in Užice, the Serbian theater festival in Užice as well as cultural and scientific manifestation “Days of the Rača near Drina” in Bajina Bašta and Užice.